The first criticism is that this is spelt wrong. It should be criticise! 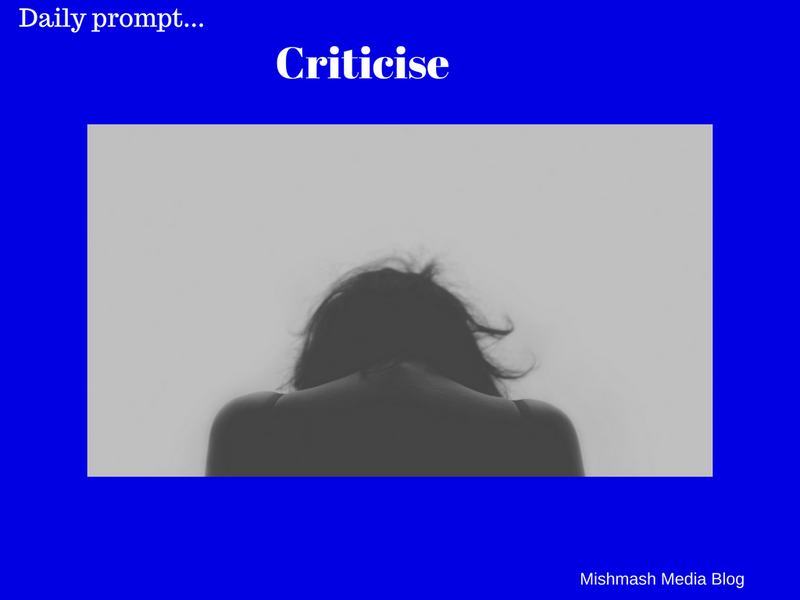 Do you take criticism well? I do not. I have taken this somewhat innocuous word prompt to address the problem. My issue is that with the age of social media, which, incidentally, I love, everyone has an opinion. Often a hysterical one. Although, to be fair at the moment, with all that is happening in the world, I understand. However, if we debate some of the world’s most exacting problems, maybe perspective and new ideas can be made and resolutions established. When someone gives you constructive criticism, in a well informed manner, are you happy to take this criticism? As long as the person can back up their comments, this is fair isn’t it? Particularly, if they are addressing a situation sensitively. This is what is missing in the media and social media. Articles and commentary are often destructive. For example, I find myself irritated by the hysterical coverage of Brexit. This, I can assure you, is whether I agree with the article/post or not. People accuse others of racism, greed, selfishness, ignorance, stupidity and so on. In my opinion, this is just as bigoted as the people they are accusing of being racist, or whatever. Thanks for reading and don’t forget to follow…. ← What else can go wrong?